UFC lightweight fighter, Ryan Couture, has been released from his contract with the UFC following his most recent loss. 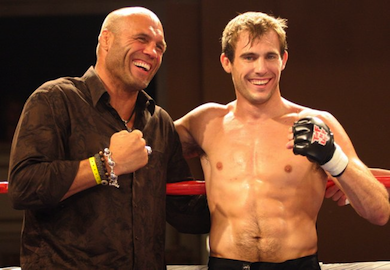 The son of two-division champion, Randy Couture, found moderate success under the Strikeforce banner against lower level competition. It took an acquisition of the promotion, to find his place on the UFC roster, where the fighter was unable to live up to his family name against higher level competitors. Just 0-2 inside the Octagon, Ryan Couture lost his promotional debut via TKO to Ross Pearson in April and last month he suffered a one-sided beat down from the hands of Al Iaquinta.